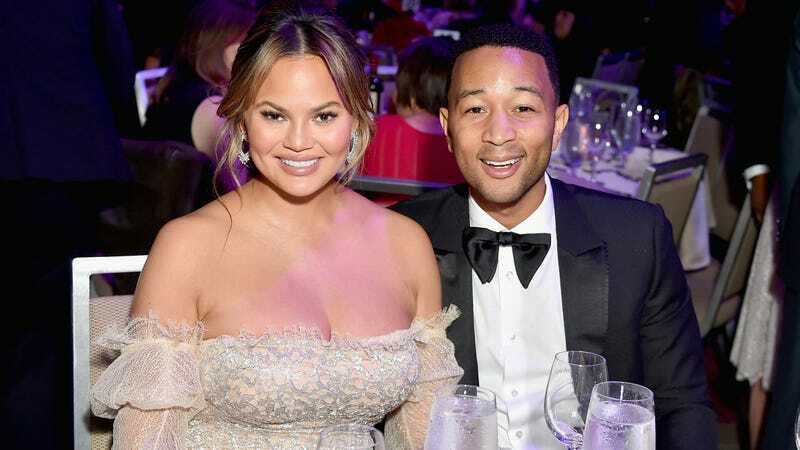 The USA National gymnasts who came forward about their sexual abuse by Larry Nassar, after so many adults failed them, have touched Chrissy Teigen and John Legend. People has noticed that the couple has been quietly added to the Time’s Up Go Fund Me list with a $200,000 offline donation “on behalf of the heroic gymnasts of the USA Gymnastics Team.” They didn’t make a big deal about it; the days of testimony speaks for itself. Four days ago, USA Gymnastics and Michigan State University physician Larry Nassar was sentenced to 40-175 years in prison, after 156 women and girls testified that he used his position of power to molest them. Testimony ranged from non-athletes to famed Olympians including Simone Biles, Gabby Douglas, McKayla Maroney, Jordyn Wieber, Jamie Dantzscher, and Aly Raisman–whose blunt and thorough castigation is now iconic. Testimonies are unilaterally tragic: former gymnast Mattie Larson said he turned the sport she loved into “a living hell”; the mother of Chelsea Markham claimed that her daughter committed suicide because of the abuse; and Kyle Stephens claimed he abused her at age six. Former gymnast Rachael Denhollander, who was the first to accuse Nassar in 2016, has published a New York Times ope-ed this weekend on what it took to come forward. She describes losing her friends, her church, and being slandered, an overall culture of punishing victims which has enabled people like Nassar to sexually abuse girls for 30 years. It’s well worth a read.